I finally picked up this book yesterday! I'm very excited, but this book is heavy! Since I've been trying to pare down my stuff in Japan (I have just 15 months left there), I'm going to photocopy the recipes I most want to try and leave the book in Canada. I have 20-30 recipes marked, and I'm really looking forward to trying all of them! For any Canadians out there who still don't have it, Chapters has a sale on hard-cover books--30% off. "The recipe was flawless as far as directions "
as much as i like the recipes, I LOVE that it's so carefully written--I bake a lot of bread, but not as many desserts, so having each stage in a recipe fully described is really helpful, because I don't keep notes and often forget how something came out by the time I make it again. Made the Double Apple Bundt Cake yesterday, and it's almost all gone already--very nice, moist and flavorful--I used 1/2 apple butter and 1/2 applesauce as i didn't have enough apple butter left in the jar--seemed to work fine. I just made three batches of muffins to take to work tomorrow. I made carrot spice, orange berry, and chocolate chocolate chunk. Gosh, I wonder which will be the most popular. There are only twelve people in my office, so I'm taking about half in, keeping a few out for myself for the week, and freezing the rest. I figured everybody else would be dragging their feet as much as I will be tomorrow. Hopefully this'll make coming back to work a little more bearable. Made the "Almost Fudge Gateau" for Christmas. It was the second time I made it. 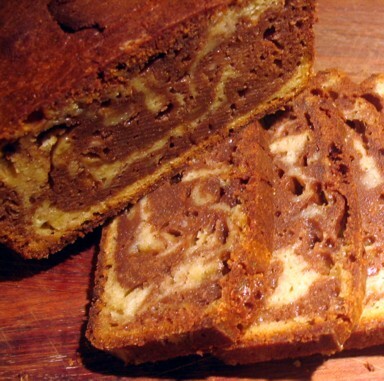 Very beautiful, very RICH dessert, impressive without being very difficult to do. Thinking I might want to get a 9 inch springform pan. The 8 1/2 inch one I have seems to make it thicker than I would like. Do you think a 10 inch would work? I have one of those. I made the "Peanuttiest Blondies" to go alongside a really dark, rich chocolate sorbet (made with 8z of chocolate and a cup of cocoa!) The Blondies were a hit with the guests. I decreased the amount of white sugar by 1/2 a cup. If I were to make them again, I would have to make a peanut butter-based frosting or ganache...I think they could've been peanuttier. Made the Creamy Dark Chocolate Sorbet (p. 431) the other day... instant new household standard. SO good. Dark, glossy, beautifully scoopable, deeply chocolatey. As close to Berthillon as I've come in my own kitchen, although I always thought theirs was an actual ice cream, with a custardy egg base. However after tasting this I am not so sure. Edit: Realized later I hadn't thoroughly checked for others having made this recipe. My apologies. Turns out Jean Blanchard had, with a similarly positive evaluation. Yay! Hmm. What's this? A package of country ham sent from friends in Tennessee? I bet Dorie has a biscuit recipe in there somewhere. Sure enough, here it is. We breakfasted at 8 a.m. with hot coffee, fresh-baked biscuits with country ham. Sheer heaven. I think this morning alone made the purchase of the book more than worth it! I can't wait to try the other recipes. I made a yogurt cake on Saturday, using blood orange zest rather than lemon zest. It mixed up easily, looked beautiful in the oven...and refused to come out of the pan in one piece. I wound up cutting the cake into cubes, and serving ice cream with cake pieces for dessert. Tasted good, though. How was the blood orange zest? I have quite a few blood oranges at home and would like to use the zest for baking. It tasted just like ordinary orange zest, but showed a little more obviously. Go for it! 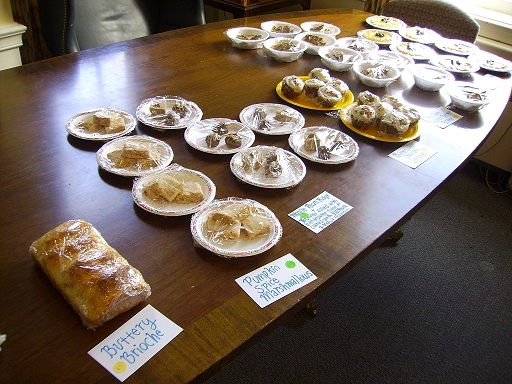 I have a few rather old pictures from a bake sale I did a few weeks back...it was basically just a way for starving college students to raise money, and I made a few things from Dorie's book. This is the spread, as it was still being set up. You can see my very professional labels and styrofoam bowls. 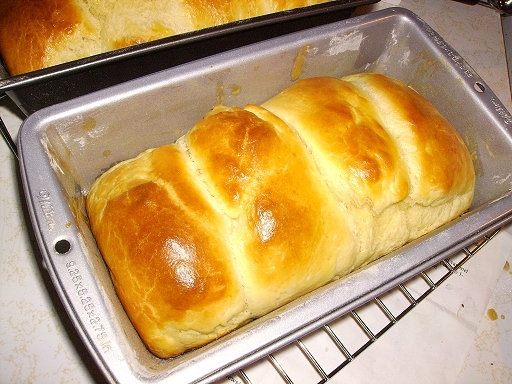 This is the brioche. Unfortunately, these all sold quickly, so I didn't get a chance to try them! But they looked and smelled wonderful. 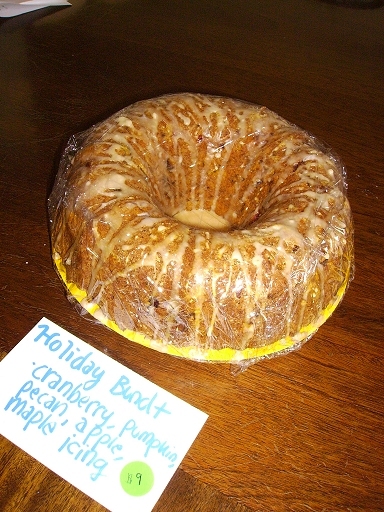 I made the holiday bundt cake, but for some reason, nobody bought it! However, I ended up being glad that no one did, because that meant I got to eat all of it, and it was absolutely delicious. Just the thing almost any time of day. 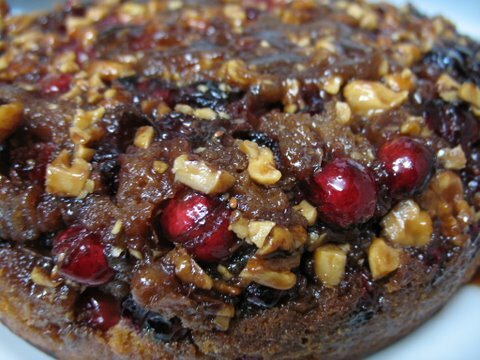 I did want to add more cranberries though-I thought it needed a little extra tartness. Oh, and it's wonderful served with cold butter and apple butter. I made it again on Christmas morning, and it was very well-received. The pumpkin marshmallows. You know, I thought these tasted quite good, just like pumpkin pie, but I spread the batter too thinly and I think these weren't quite as airy as they should have been. I just don't tend to have good luck with things requiring lots of egg whites. But others liked them. I have also made recently: the caramel brownie cake (chewy, gooey, yummy, really easy), the toffee brown sugar ice cream bars (can't remember the name, but they made perfect ice cream bars [with chocolate cinnamon ice cream] and were, of course, delicious, with a nice crunch), and...hmm, that's all I can remember for the moment. But I'm sure there will be more soon! I had some homemade apple sauce leftover from a Pork Schnitzel dinner recently. The apple sauce also had some orange zest and juice in it, but I decided to make the applesauce spice bars anyways. Just like everyone commented about them these were terrific! 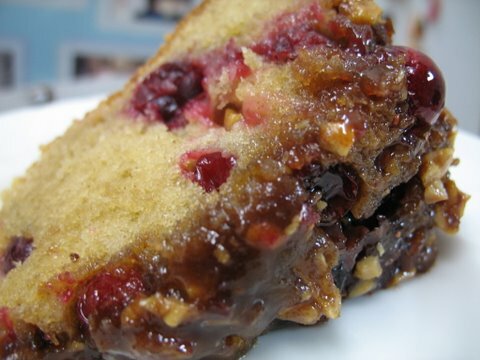 very moist and quiet addicitve for dessert or breakfast with a black coffee. 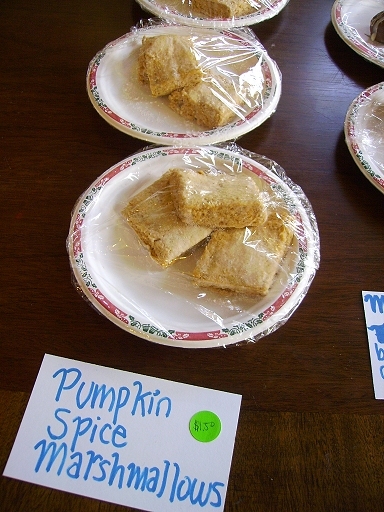 I made the Applesauce Spice Bars too! I'm in Paris (which is one of the reasons I haven't posted much lately -- another reason is that I was so out of it that I didn't know the thread had moved!) and I made the bars as a holiday treat for my French friends, who really, really liked them -- even though they're so not French. I baked World Peace Cookies for Pierre Herme, the cookie's creator, which was fun. And I baked Rugelach with St. Moret cheese because I couldn't get my hands on Philadelphia Cream Cheese when the urge to make the rugelach struck. St. Moret is like cream cheese and is often used in cheesecakes here, but I'd never worked with it. In the end, it made a delicious rugelach, one that my husband thought was lighter than usual. Reading through the posts, it looks like everyone's holidays were delicious. Here's hoping that this will be a sweet year for one and all. I just finished munching another chocolate espresso shortbread or four with my afternoon mug of coffee. THANK YOU FOR THIS RECIPE! The shortbreads I've tried from the book have to be my favorites. I've been eyeing the Peanut Butter Torte now for ages and finally decided to take the caloric plunge this weekend. One question: do you grind 24 Oreos (filling and all) or just the chocolate wafers? Thanks! I'm just completely in love with this book! You grind the Oreos filling and all! Thank you! Will post my results. I made my first recipe from this book--the cranberry upside-down cake (not the correct name, I think). It was perfect! Well, maybe not perfect looking, but the flavours were perfect. I had to use brown sugar in the topping, because when I tried to use my white sugar, I ended up with browned butter and burnt sandy sugar rather than a caramel-like substance. That was more because of my white sugar (I use Japanese white sugar--not granulated), than the recipe, though. Next will be the Katharine Hepburn brownies, I think. I had to use a smaller pan (about 7"), but I made a full recipe, anyway. I think my pan was a bit higher than 2", so everything worked out OK.
A few of the cranberries migrated into the cake, but no harm done! 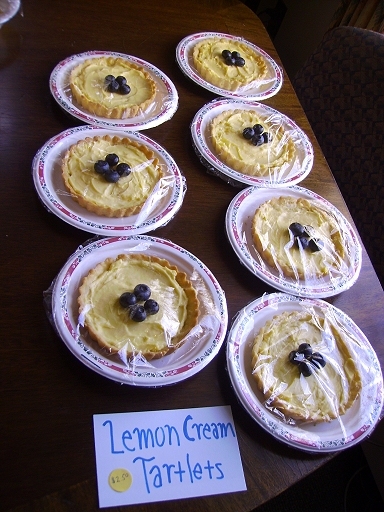 I made the Swedish Visiting Cake yesterday for an afternoon meeting at my home -- universally enjoyed! It's been awhile since I last baked from this book. 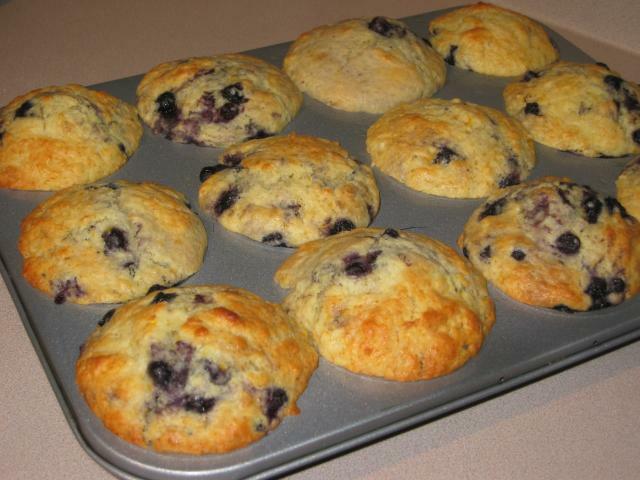 I decided to start the new year off with Dorie's orange berry muffins (pg. 3). I sifted my flour/baking powder/baking soda mixture to ensure lovely domed muffin tops. It seemed to have worked! My muffins only took about 20 minutes in a 400 degree oven. I've now tried quite a few of her muffin recipes and these are my favourite. I made the Chocolate Ganache Ice Cream last night. 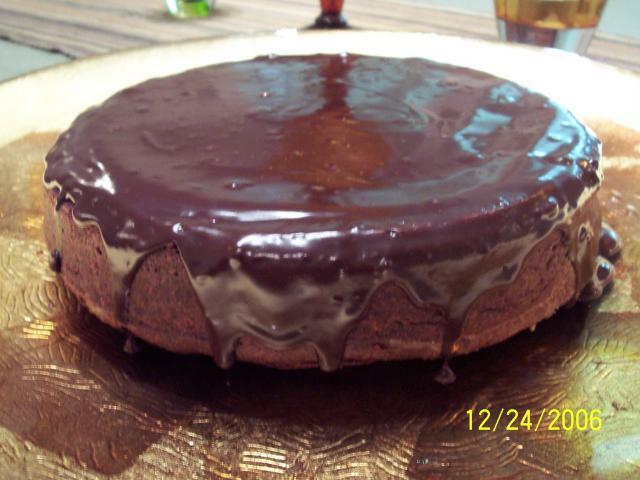 It tasted a little flat, so I added a touch of vanilla extract, and it was excellent. I strained the custard before adding it to the melted chocolate, and I was surprised the recipe did not indicate to do so, since this is a crucial step. I am making cakes for the dessert at our winter carnival supper this weekend. I wanted to add a carrot cake to the chocolate and white cakes I am making. Can the carrot cake in the book be made in a sheet pan(9x13)? I made the banana bundt this weekend, adding 3 tsp of cinnamon and a few scoops of chocolate chips. Heavenly! I keep picking at the crust, which is delectably chewy-crisp.